Grass-fed lamb from Australia, raised humanely without antibiotics or hormones, in a natural and free-range environment which offers optimal growing conditions, and nutritious grasses like rye and clover for the lambs to eat. A stress-free lifestyle produces lamb that is distinctively clean tasting, mild, tender, and not at all gamey. 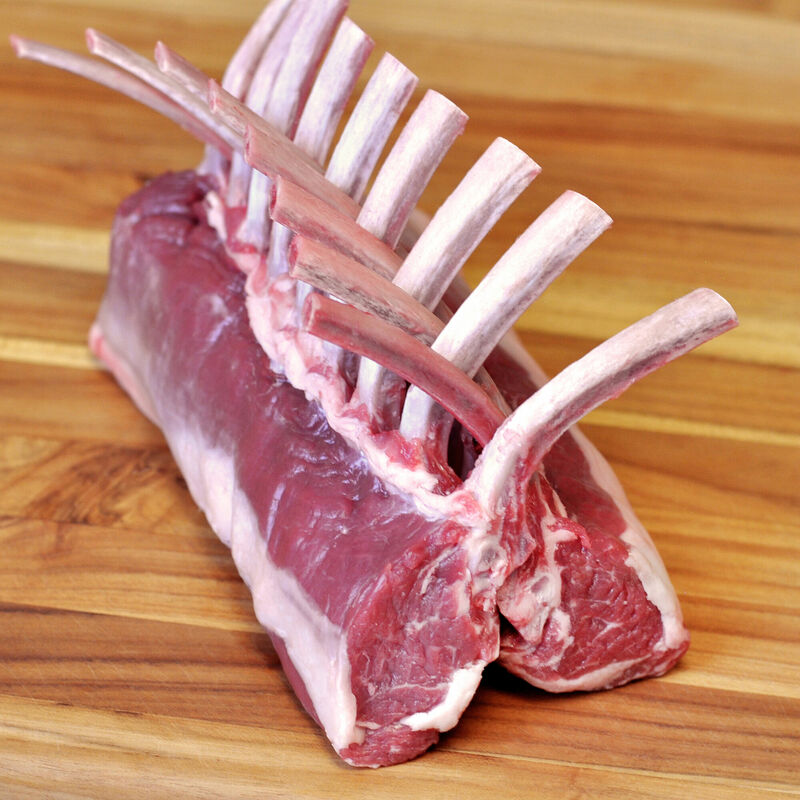 This rack of lamb has been frenched down to the eye muscle and denuded, so there is no fat or silver skin left - making it a perfect choice for 'lamb lollipops' as chefs like to call them.